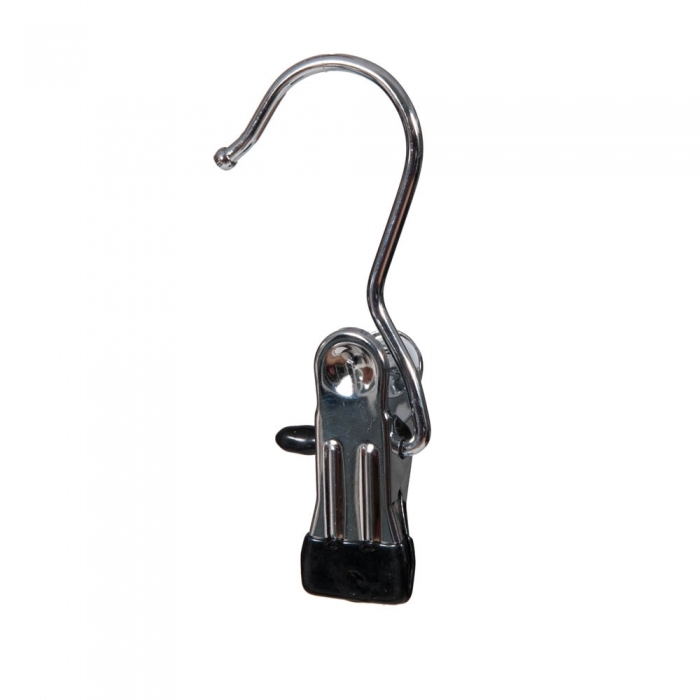 Chrome plated non slip single peg hook with non slip black rubber ends. Sold individually. 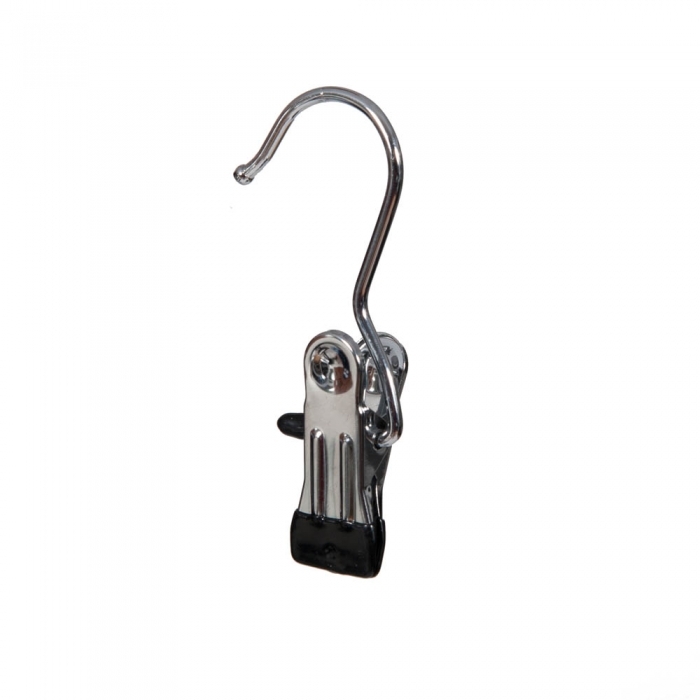 Spring loaded peg hooks to give a firm grip to your products and displays without damage to them. 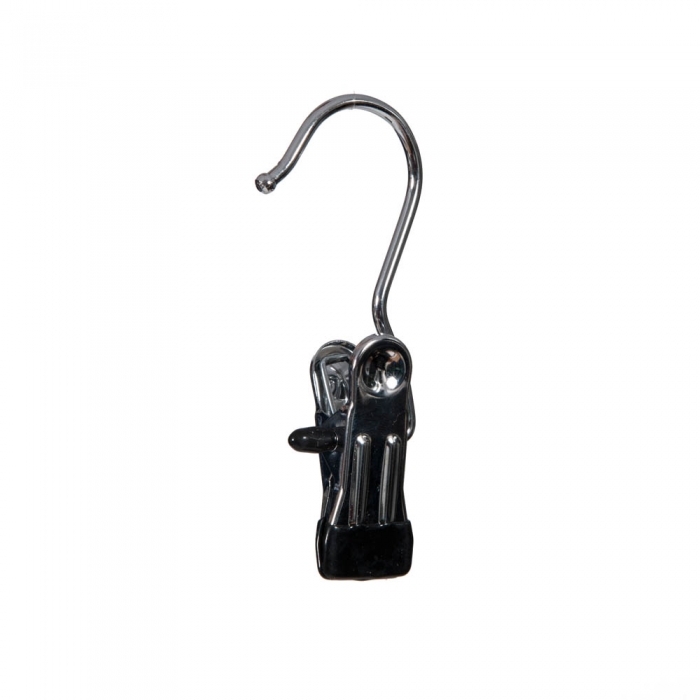 These are ideal to be hung or used on clothes rails.